The concept of ‘judicial emergency’ is well formulated in the USA based upon available real-time data and appropriate analysis. It reflects upon a judge vacancy in a given court. A vacancy on a court of appeals is an “emergency” if the court’s “adjusted filings” (essentially, the number of cases filed) per three-judge panel exceed 700 or are between 500 and 700 per panel and the vacancy has lasted at least 18 months. A vacancy in a district court is an “emergency” if the vacancy in a court with two or more judgeships that has only one judge in active service, or if the court’s “weighted filings” exceed 600 per judgeship, or are between 430 and 600 and the vacancy is at least 18 months old (“weighted filings” is a composite figure reflecting the relative time needed to dispose of different types of cases). If we now shift our focus to India, we find the present situation in higher judiciary to be alarming. Judge vacancy in high courts in India, as on 01.09.2015, was 392 out of 1,017 posts, that is, 38.5%. This figure rose to 485 vacancies out of 1,079 posts on 01.09.2016, i.e., 44.94%. It marginally reduced to 403 out of 1,079 posts (37.3%) as on 01.02.2018. However, as on 01.04.2018, it has moved up to 410 vacancies out of 1,079 posts, i.e., 37.99%. As on 01.05.2018, it has increased to 413 vacancies. Figures, particularly in Karnataka (51%) and Calcutta (54%), are extremely worrisome. No wonder the lawyers in Karnataka and then, in Calcutta chose to go on strike. Even the lower judiciary is not spared this misery, where we have, according to the government’s statement in the Lok Sabha in Feb. 2018, 5,925 vacancies. It is worth reminding ourselves that it is generally the lower courts where a common man commences his journey for justice. With pendency of nearly 2.65 crores cases in lowers courts, it is perilous for such vacancies to remain so for a long period. The problem just not stops there. We are facing similar situation in CESTAT, NCDRC, NGT, AFAT, etc. As a matter of fact, the situation is so grim in NGT that due to shortage of judicial members, other benches across the country have not been functioning for a while and parties are forced to travel to Delhi to raise their grievances before the principle bench. Of course, many of them, due to financial and other constraints, are unable to come to Delhi and therefore, access to justice, for all practical purposes, remains a mirage for them. There is a demand for a new judicial fora to decongest the Supreme Court and high courts. But who would guarantee that the new judicial fora would not eventually result in just another delay-ridden judicial institution like CAT, NCDRC belying the very reason for which they were created. In the recent Economic Survey 2017-18 issued by the Government of India, Chapter 9, Ease of Doing Business’ Next Frontier: Timely Justice, on the basis of empirical data concludes that: (a) six prominent appellate tribunals that deal with exclusively high stake commercial matters have a high level of pendency; (b) pendency has risen sharply over the years though every tribunal started with manageable caseloads, disposing instituted cases every year, but that soon spiralled out of control. It is quite clear that even though the judicial system in India is crawling under the burden of huge pendency, we are unable to start with the foundational requirement of human resources. The issues of case management, case flow management and other scientific modes of tackling with arrears would bear results only when we at least have our hands full (or substantially full) with the sanctioned strength of judges. Since the days of NJAC judgment, the relation between the judiciary and executive has constantly been going south. Neither is willing to loosen its grip over the process of appointment of judges to the higher judiciary. Where the collegium, on one hand, believes in its own supremacy on the issue of appointment of judges on the ground of independence of judiciary; the government, on other hand, believes that it has a superior role to play in such appointments. The rule of Separation of Powers, which has been held to be a part of the basic structure of our Constitution, informs us that one limb of democracy cannot encroach upon the other. One wonders whether in the present situation of judicial emergency, can these other organs – legislature and executive – take up the role of judiciary even if they want to. Apart from constitutional mandate reflected in Art. 50, can one approach a Joint Secretary with a suit for declaration of title and possession? Can one go to the Legislature seeking a writ of mandamus? These are necessarily to be done only and only through the judicial system. Paralysing the system and slowly throttling it is hardly a step in the right direction. Judicial emergency has reached its pinnacle. It is not just about mounting arrears alone. It is not just about delay in getting justice. It is something much more fundamental. It is about restoring the faith of the common man in the system itself. If the situation is not controlled quickly, it would have a cascading and devastating effect, which would require decades to reverse. Are the policymakers in all the three organs of our democracy ready to take such a big risk? In the context of the Indian Constitution, there is no such thing as a judicial emergency. Part XVIII of the Constitution of India provides for the emergency provisions. The spectrum of emergencies envisaged under Articles 352 to 360 relate to security of India, whether by war or external aggression or armed rebellion, or failure of constitutional machinery in States, or financial emergency. None of these provisions relate to a possibility of a judicial emergency in the country or in any State. Rather, proviso to Article 356(1) mandate that nothing in this clause shall authorise the President to assume to himself any of the powers vested in or exercisable by a high court, or to suspend in whole or in part the operation of any provision of this Constitution relating to High Courts. The only inroad in the judiciary permitted during an emergency is restricted in Article 360 where, during a financial emergency, the President is competent to issue directions for the reduction of salaries and allowances of all or any class of persons serving in connection with the affairs of the Union, including the judges of the Supreme Court and the high courts. The judges have been carefully insulated from the vagaries of external bodies by pthe rotection of their service terms under the Constitution of India. The Constitution makers have provided highest protection to the Judges to ensure ithe ndependence of judiciary. They have reposed faith and trust on the justice delivery institution, especially the higher judiciary. They believed that there could be stray individual instances of breach of such faith for which the impeachment procedure was laid down. However, they could not fathom the possibility of the failure of the institution and therefore, never felt the need for incorporation a provision equivalent to Part XVIII for the judiciary. There was no such thing as judicial breakdown, which was imagined by the Constituent Assembly. And yet, repeated instances over the past few years show that internally as well as externally, we are going through turbulent times of a judicial breakdown. The system is just not able to cope up with the mounting pressures and to make it worse, the pressures are not only from outside (which one can still sustain) but rather from inside, possibly due to lack of mutual trust and even respect. Justice Guman Mal Lodha in the Preface to his book Judiciary—Fumes, Flames & Fire aptly puts the situation as ‘Battles at the Bench’ substituted by the ‘Battles at the Bar’. Since the January press conference of the four senior-most judges of the Supreme Court, the situation seems to have been spiralling out of control. Completely uncalled for prefixes like ‘rebel’, ‘senior’, ‘junior’ are being used for judges of the Supreme Court of India. While the judicial arena have turned into knock-out alleys, the court corridors are abuzz with gossip and self-serving, guarded situational responses. ‘Each unto itself’ is the mantra adopted by all. The institution seems to have been given a go by and we do not know whether the past glory and public faith can easily be restored. 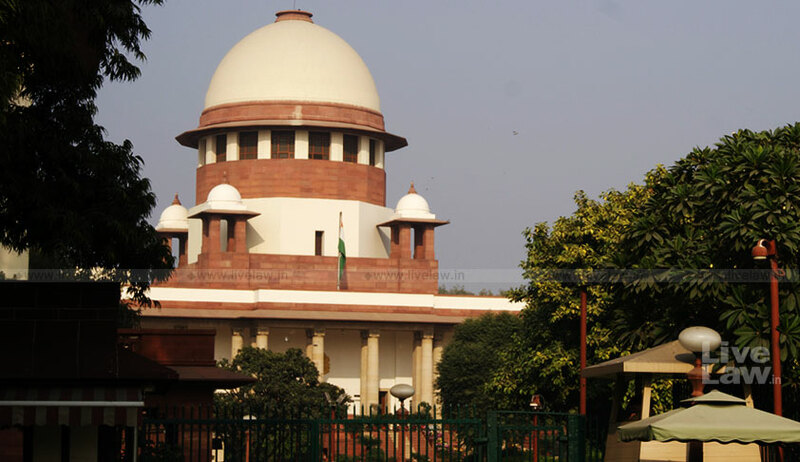 Where attempt of constitution of NJAC, non-appointment of judges, attempt to impeach the CJI, blocking the way for elevation of a High Court Chief Justice, non-finalisation of the Memorandum of Procedure, etc., display an external aggression, issues like the unprecedented January 2018 judges’ press conference, controversy on the Master of Roster, the general impression of ‘overlooking’ senior-most judges for their involvement in the Constitution Benches (dealing with intricate legal and constitutional issues), alleged non-adherence to judicial discipline while deciding cases, etc. gives an impression of an internal volatility. We need to remind ourselves that wolfs in the woods are always watching and ready to pounce. An opening is all they need. Opening of a window for short-term gains can result in a long-term institutional coup. The sentinel on the qui vive is under serious threat. But as Lord Denning advises, the guards can only guard themselves.The recent attempt to impeach CJI Dipak Misra has been averted since, in the words of Vice-President Venkaiah Naidu in his rejection order, ‘The Hon’ble Members of Parliament who have presented the petition are unsure of their own case.’ But, attacks are likely to continue and likely to be on surer grounds. It is preferable to mend the house within rather than allowing the outsiders to correct the course of action. Judiciary would command respect so long it itself respects its own members.